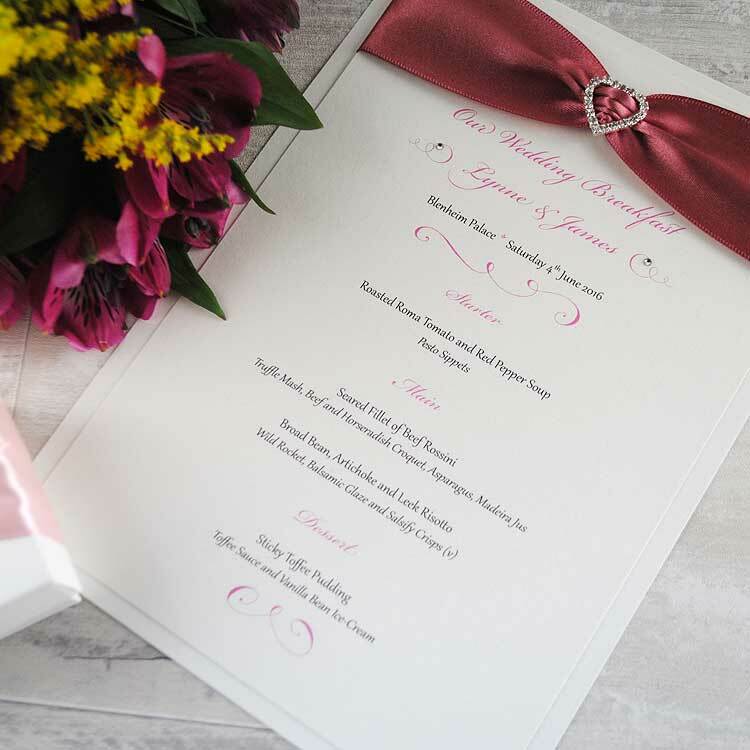 Share your carefully planned wedding menu with your guests using our luxury handmade wedding menu cards guaranteed to look fabulous on your wedding tables! 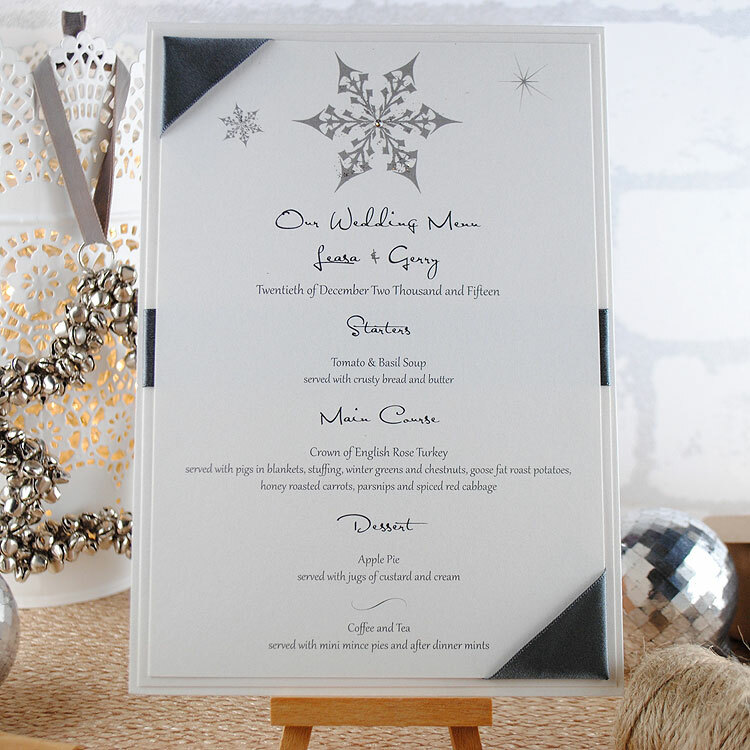 We recommend ordering enough wedding menu cards to place at least one per table. 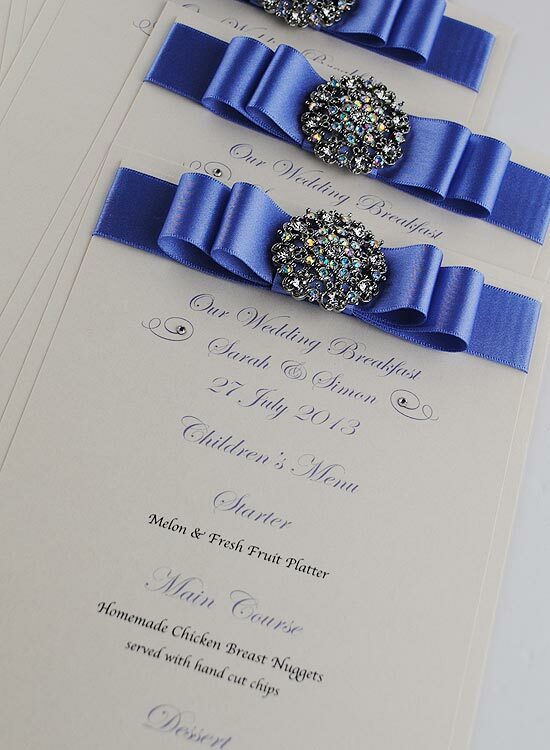 For a personal touch why not add information about your toasts and speeches. 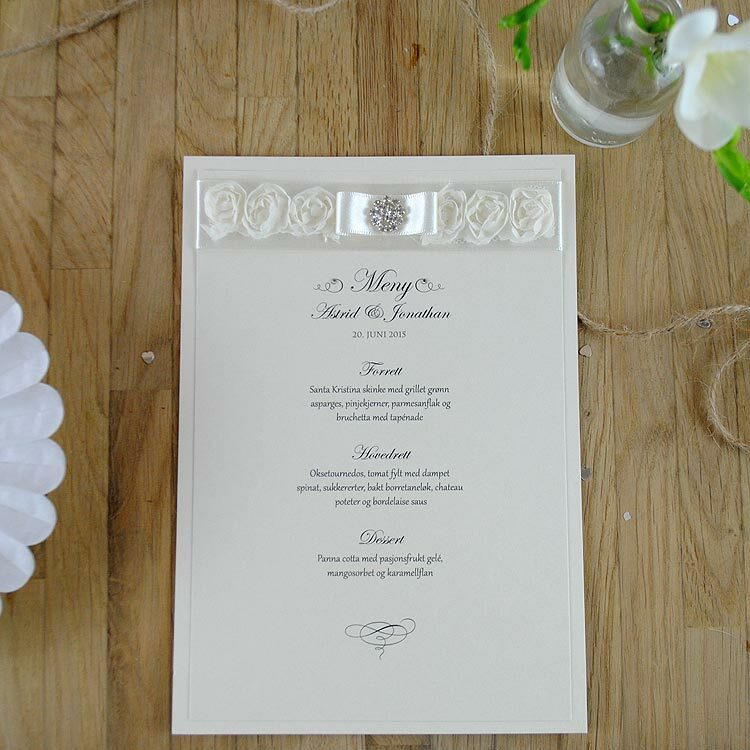 We can also provide individual personalised wedding menus printed with for your guest’s name and their pre-selected menu choices. 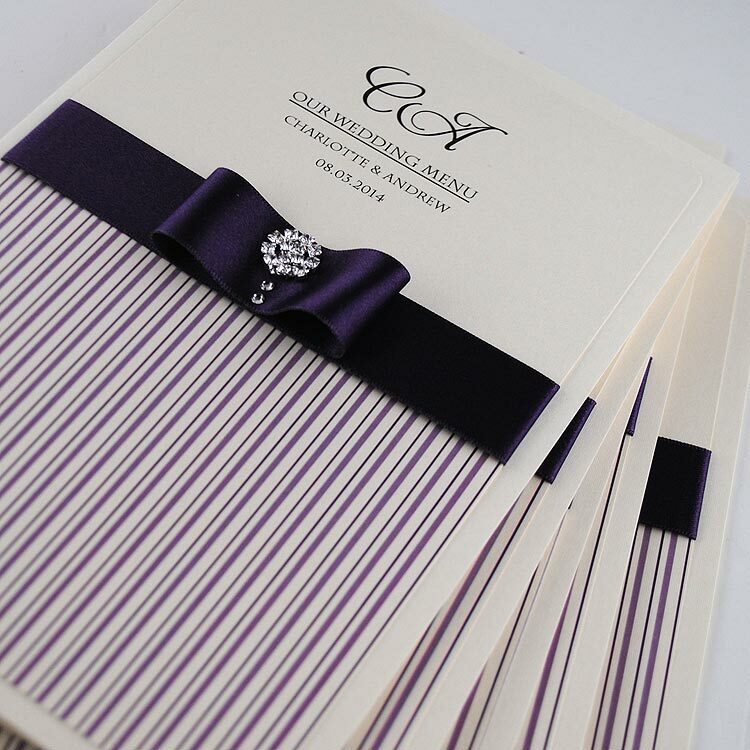 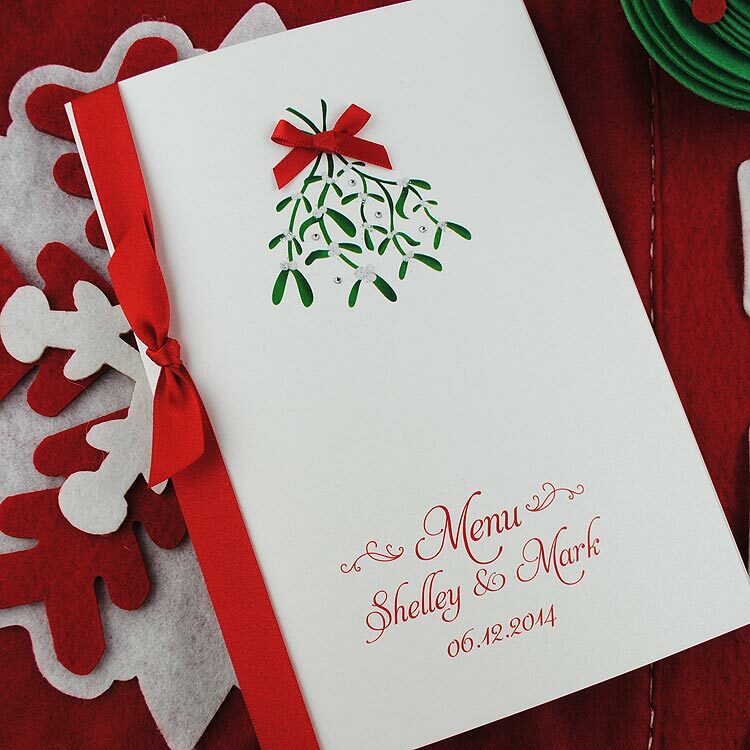 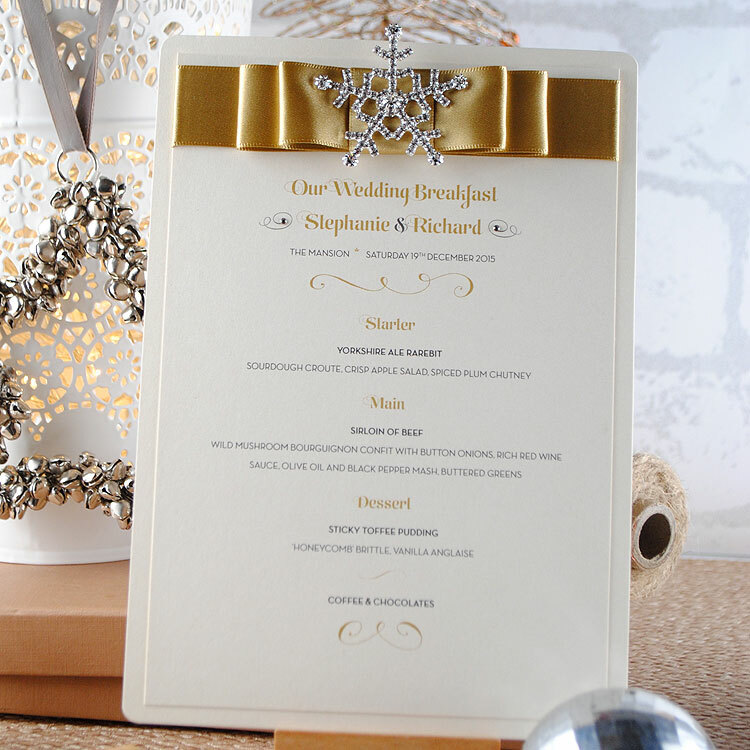 Our wedding menus are printed on fine quality fabric embossed card and can be designed in your very own colour theme. 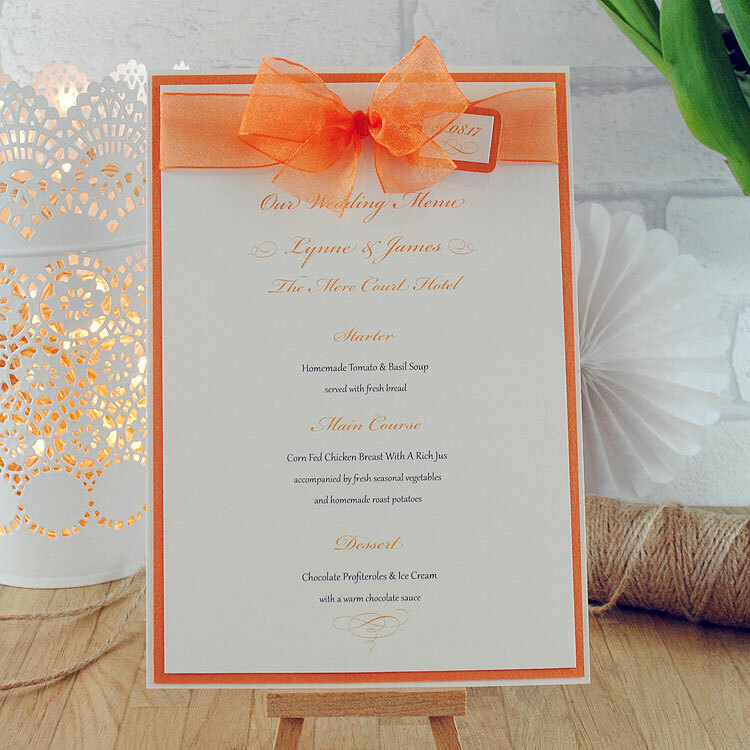 Available as an A5 folded booklet or a flat A5 menu card. 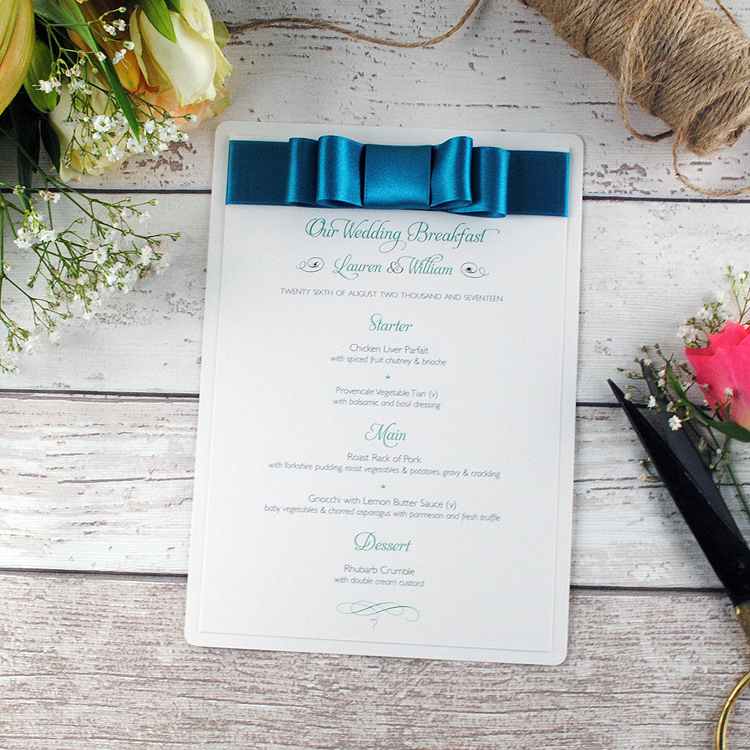 We have wedding menus to match all of our invitations designs so they are the perfect way to carry your wedding theme through to your table decor. 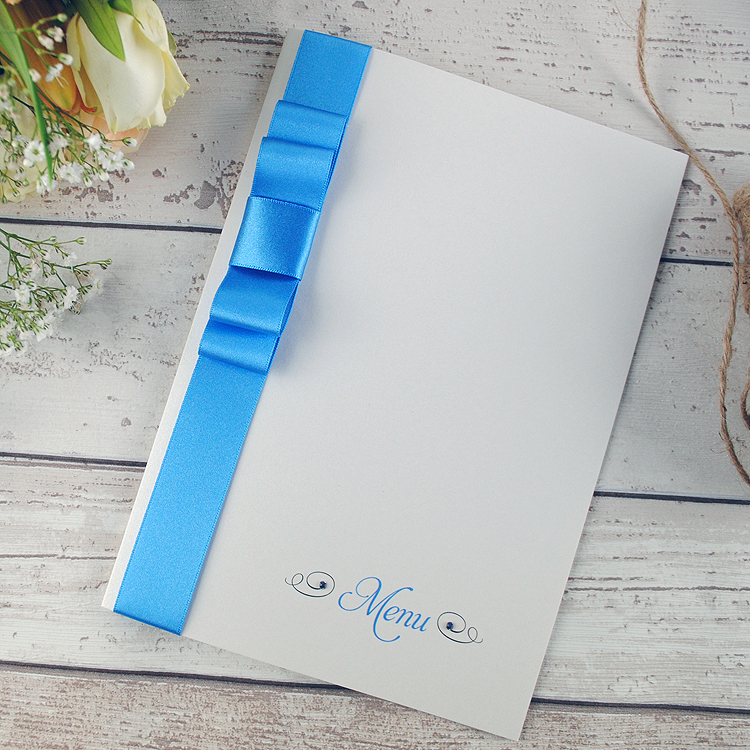 Call us today on +44 (0)7886116950 to discuss your requirements or complete our contact form with your details to order your personalised wedding menus.